Make sure you have correctly integrated ironSource‘s Rewarded Video into your application. 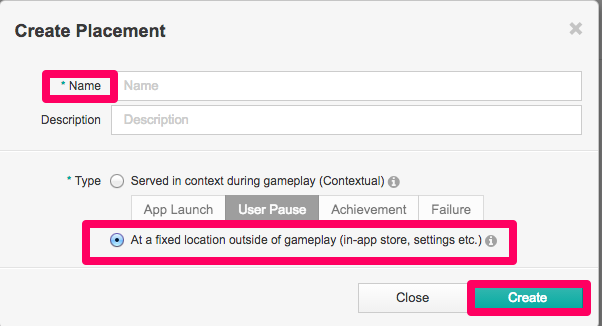 Next, set the placement Type to ‘a fixed location outside of gameplay (in-app store, settings etc.)‘. This will ensure this ad placement is user-initiated. Click ‘Save‘. Enter the name and description for this placement. Set the placement Type to ‘a fixed location outside of gameplay (in-app store, settings etc.)‘. This will ensure this ad placement is user-initiated. Click ‘Create‘. 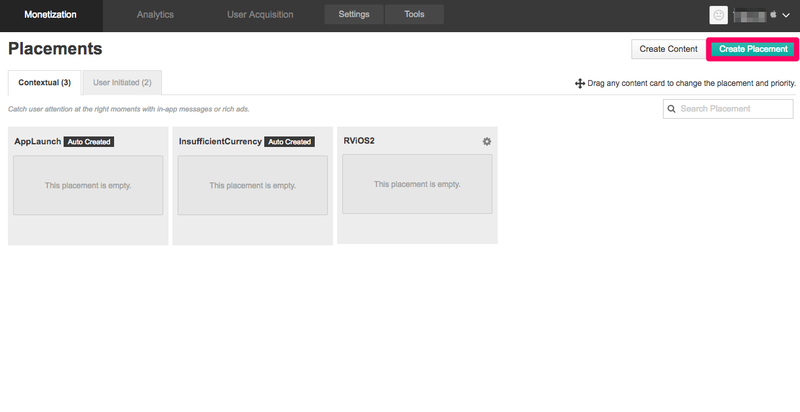 Click ‘Create Now‘ and you will then see your defined virtual currency as Enabled on your Virtual Currency dashboard. 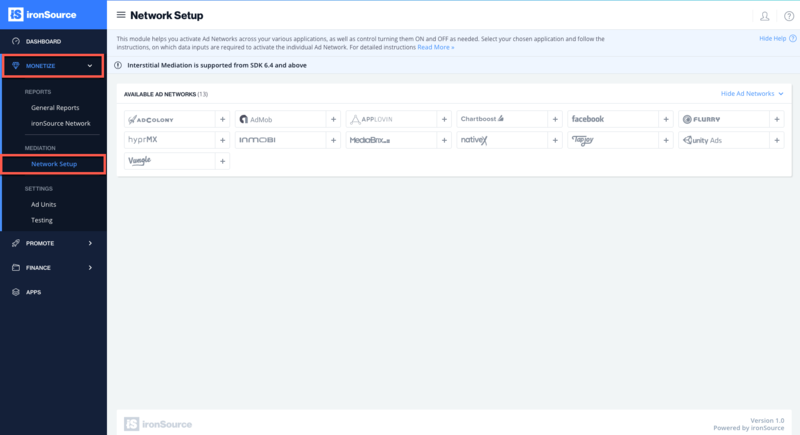 Next, select the relevant ad unit you’d like to serve through ironSource‘s Mediation platform. To serve Rewarded Video, select Video by clicking ‘Create‘. 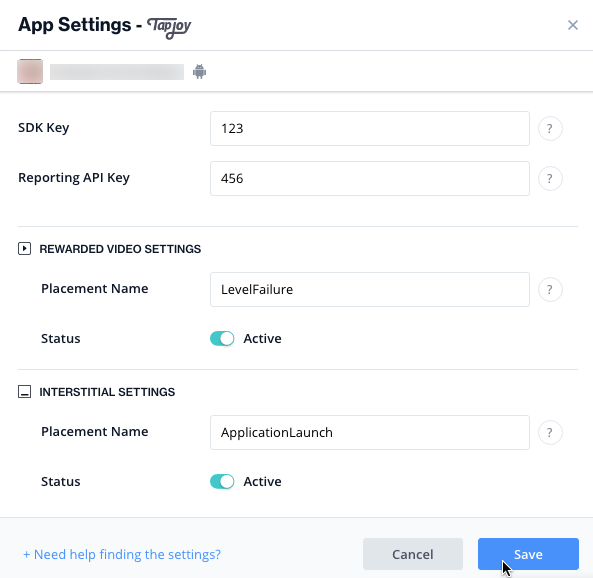 Do not select Mediated Video, as this is geared to Tapjoy’s communication within their mediation SDK. When serving Tapjoy’s Rewarded Video through the ironSource Mediation platform, you should set the Tapjoy reward to zero and hide their reward message. 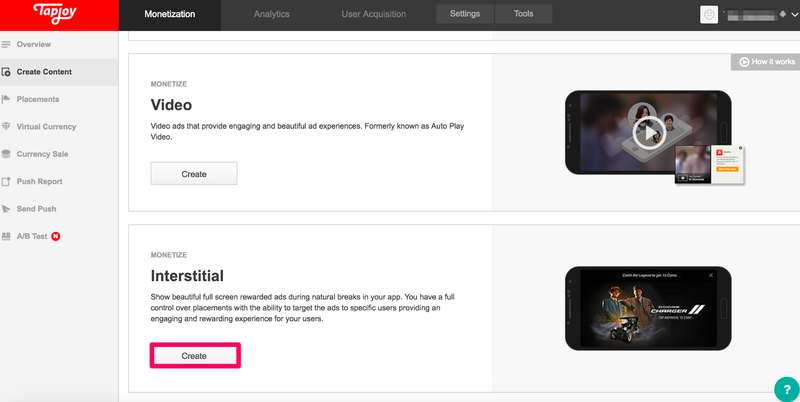 This will ensure you don’t reward the user twice and will prevent user confusion when seeing a Tapjoy generated message with a different reward amount. 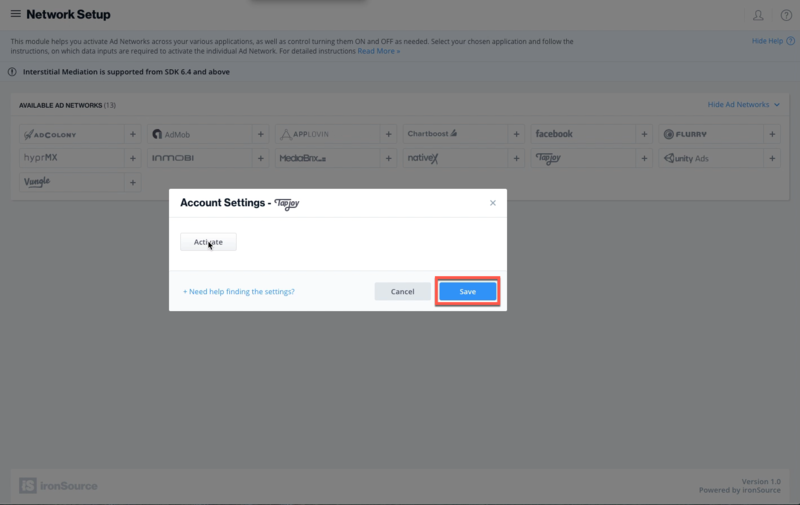 When serving Tapjoy’s Interstitials on our Mediation platform, you will need to turn off rewards as the Interstitials you serve through our Mediation are non-incentivized. 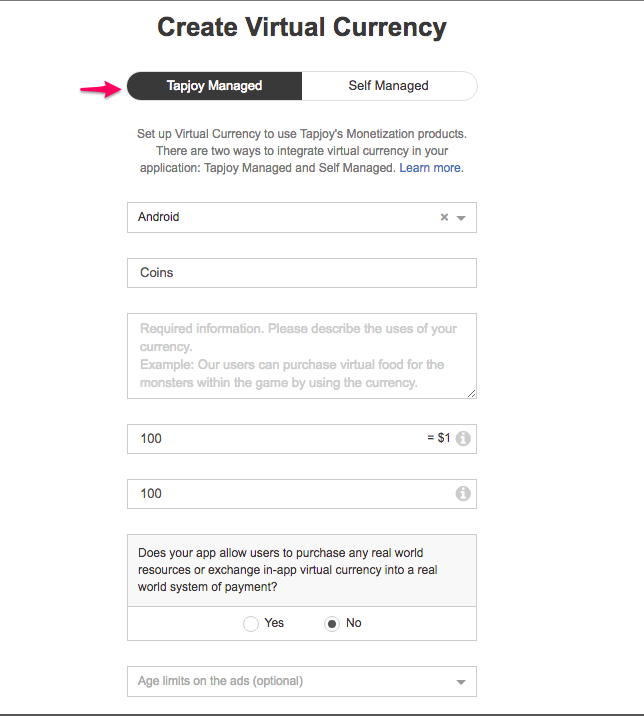 To do either of the above actions, please contact your Tapjoy account manager or email support@tapjoy.com. 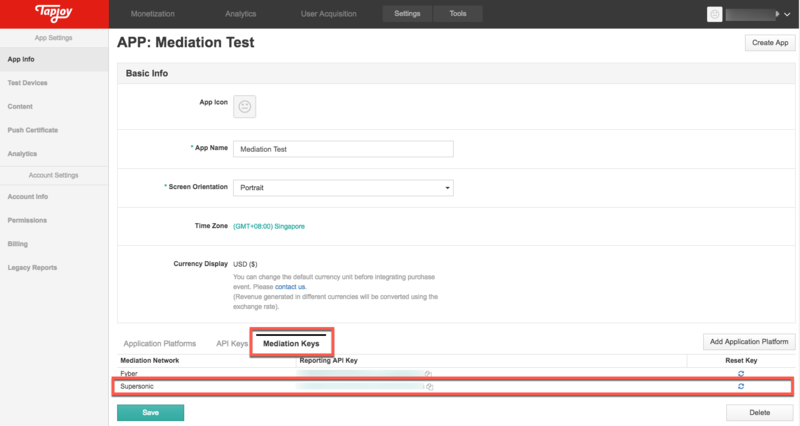 Be sure to include the following information when contacting the Tapjoy team; the login of your Tapjoy dashboard account, the complete name of your App (including platform: iOS/Android), and the name of the relevant Tapjoy content card and placement. 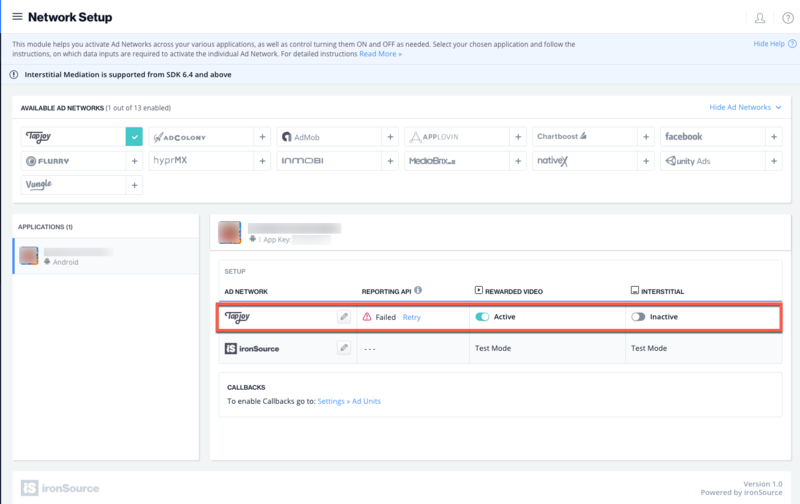 Add the Tapjoy Adobe Native Extension (ANE) to your build. You can find the latest Tapjoy ANE for ironSource here. 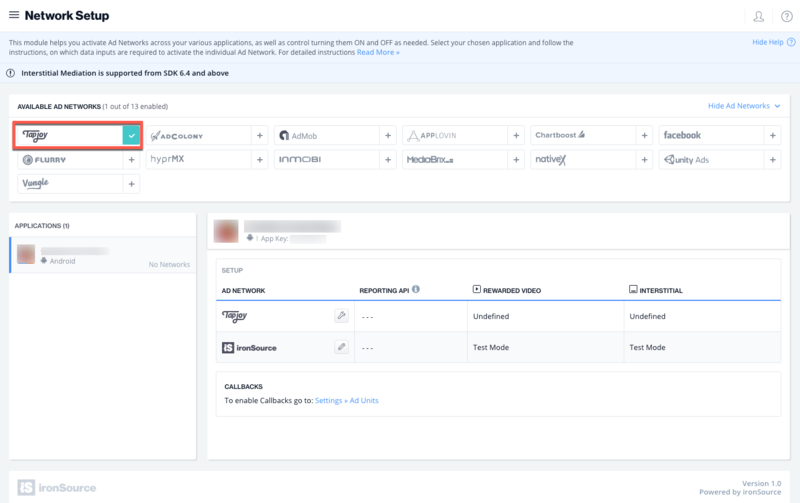 To add the ANE, simply add it to your project by clicking on project Properties ➣ Flex build path ➣ Native Extension tab. Click on ‘Add ANE’ and choose the file you downloaded in the previous step. 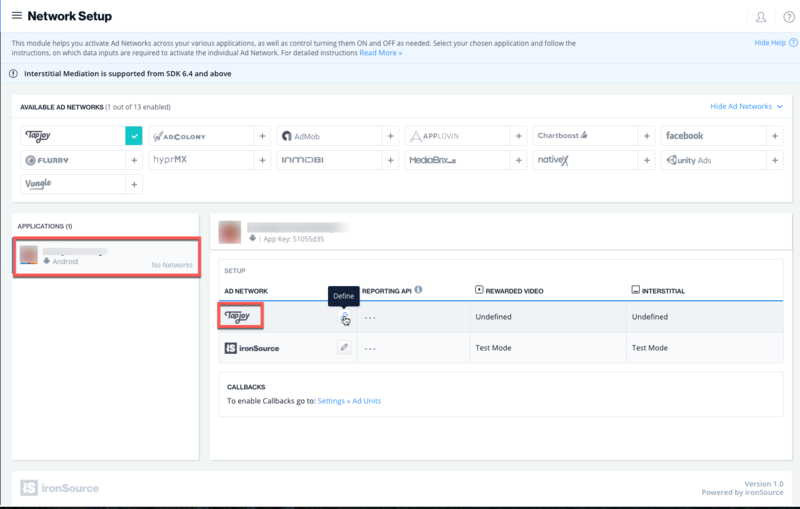 Make sure you mark the ANE to be packaged into your application on Flex Build Packaging ➣ Native Extension Tab and check the ‘Package‘ checkbox.